Charles Strouse is one of America's most successful musical theatre composers. His first Broadway musical, BYE BYE BIRDIE (1960), written with his long-time collaborator Lee Adams, won him a Tony Award and the London Critics Best Foreign Musical Award. 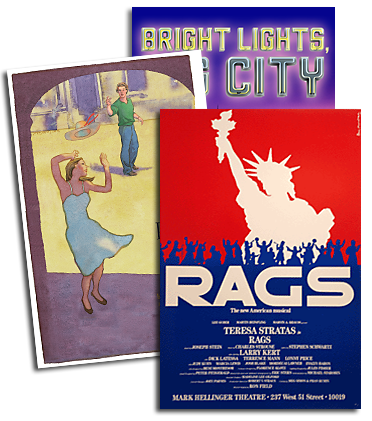 In 1970, APPLAUSE, starring Lauren Bacall, achieved the same honors, and his smash hit, ANNIE (1977), written with lyricist Martin Charnin and librettist Tom Meehan, also won Tonys for Best Score and Best Musical, as well as two Grammy Awards. Among his other musicals presented on Broadway and in London's West End are ALL AMERICAN (with a book by Mel Brooks), GOLDEN BOY (starring Sammy Davis Jr.), IT'S A BIRD, IT'S A PLANE, IT'S SUPERMAN (produced and directed by Hal Prince), I AND ALBERT (directed in London by John Schlesinger), and DANCE A LITTLE CLOSER, written with Alan Jay Lerner. His musical CHARLIE & ALGERNON won a Tony nomination for Best Score in 1981. 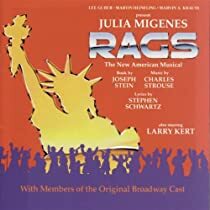 RAGS, with lyrics by Williamson Music's Stephen Schwartz, a book by Joseph Stein, and proudly represented by R&H Theatricals, also received a Tony nomination for Best Score (1987), as did NICK AND NORA (1992). Strouse wrote both the music and lyrics for off-Broadway's MAYOR, and teamed again with Martin Charnin to create ANNIE WARBUCKS, the sequel to ANNIE. Sorry, no events were found that matched your criteria.